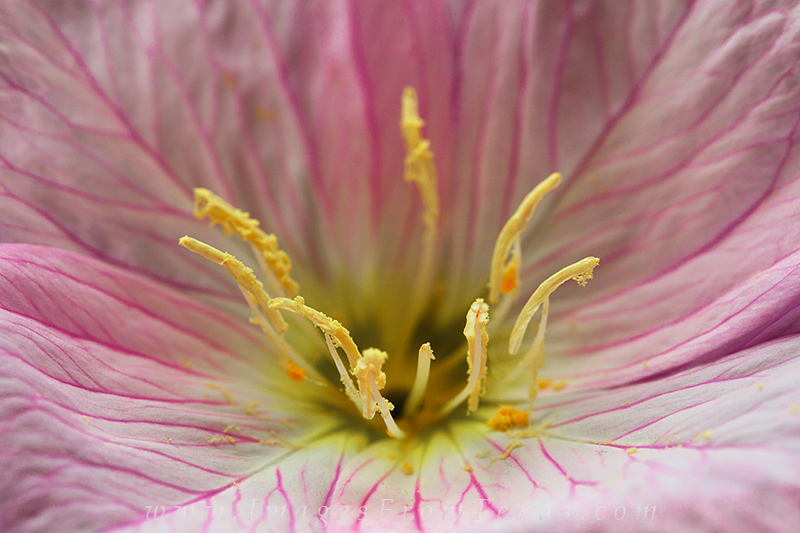 This Texas wildflower images is a macro photograph of a Showy Primrose. I wanted to show the details of the pink, white, and yellow that make up the beautiful inner portion of this magnificent bloom. Photo © copyright by Rob Greebon.